For over 20 years Attorney Andrew Arena has been a trial lawyer. 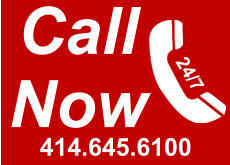 A trial lawyer is an Attorney that represents clients in actual law suits. These law suits may be defending against allegations that involve a crime, or a civil case that involves a claim for money damages. The most important skill for a trial lawyer is to understand the arguments and evidence that will be used by the other side, and then use the existing facts to pick the opponents arguments apart. This may involve skillful cross examination, or developing the proper evidence to present. Attorney Andrew Arena has handled hundreds of cases that were in litigation. Attorney Andrew Arena has also attended many continuing education courses which involved litigation or trial practice issues. If you need to sue someone, or are being sued Attorney Andrew Arena will represent you with integrity, and will try to ensure that justice prevails. Many Lawyers are not effective in the Court Room or they just don't go to Court. Believe it or not some Lawyers have a fear of speaking in front of others, or don't have the time to properly prepare the case, which results in, stumbling fumbling gabber in Court that doesn't make sense. Attorney Arena has the courage and confidence to take on your case. As most of the clients at Arena Law Offices are repeat clients and referrals, Attorney Andrew Arena has demonstrated many of the skills necessary to be successful to bring those clients back. Attorney Andrew Arena mostly represents the disadvantaged individual against the government, or a large insurance company. Attorney Arena has learned about the trial process and continues to learn that process. 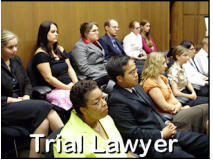 The most important element in the trial is the human element and experience that is brought forth. This allows an emotional connection by the jury, and allows the whole story to be presented and have an impact on the jury. Attorney Andrew Arena has spent countless hours and thousands of dollars on his own personal quest to learn and understand the trial process. This includes talking to jurors after trials, jury consultants, and attending courses being taught by the best lawyers in Wisconsin and the Country. Recently, Attorney Arena has embarked upon the quest for truth by attending courses at the Trial Lawyers College in Wyoming. Although, new to this process Attorney Arena is still learning various court room methods because of the commitment to representing his clients.